New times teach us about new duties. This aphorism certainly applies to immigration. The migration of people, in some form, is as ancient as recorded history. Migration today is a reality of being citizens in an interdependent, globalized world, where goods, services, money, and ideas move with astonishing speed and volume across national boundaries and entire regions of the globe. People also move in unprecedented numbers across national frontiers, sometimes by choice and more often threatened by coercion, conflict, and natural catastrophes. For those coming to the United States seeking our assistance in time of need, we are called to consider our choices and the obligations of our duties. Many Americans are focused on the need to strengthen our country and assure the safety of our people from terrorism. This is a grave responsibility for our leaders. But President Trump’s recent executive order on immigration has produced astonishment and confusion in our country and in the international community. The primary cause of these reactions was the tone, style, and frenzied pace of the announced policy changes. They conveyed an image of the United States different than our proud heritage of strength and stature and, for many, invoked a sense of rejection and fear. Two particular directives stand out in this regard: the policy of a virtual blanket prohibition of immigrants from a defined set of countries, exclusively majority Islamic countries, and the policy of deciding access to the United States by prioritizing some religious communities over others. Both of these choices depart from standing US policy and are contrary to international norms designed to facilitate cooperation in protecting refugees and immigrants. In September 2015, Pope Francis addressed Congress, saying: “Let us treat others with the same passion and impassion with which we want to be treated. Let us seek for others the same possibilities which we seek for ourselves. In a word, if we want security, let us give security; if we want life; let us give life.” With these words, the Holy Father reflected the teachings of Jesus Christ concerning our response to our brothers and sisters who are in need, in distress, who are seeking relief from persecution. These words speak a powerful truth to us today as men, women, children, and families reach out for our help. Our country rightfully upholds and defends its security and proudly leads with generosity and concern for others. 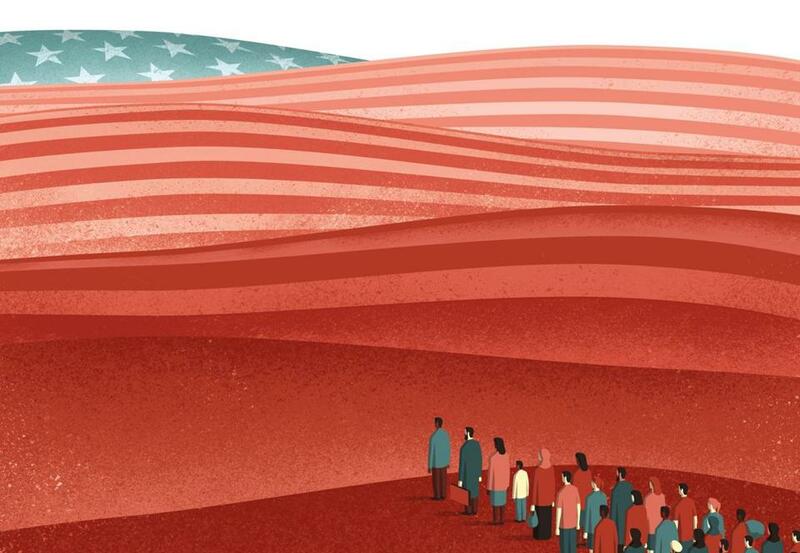 Our policy on immigration must provide the best possible opportunity to unite Americans, by being both strong and also sympathetic to the plight of those adrift in a world of conflict. Such a policy would recognize that Americans hold different concerns regarding immigration but also recognize that stressing only one set of concerns will never unify our minds and hearts. There are more than 11 million people living in the United States today without legal immigration status. The serious conditions which brought many of them here, often rooted in war and poverty, can be debated at length. But the fact of the 11 million cannot be denied or wished away, nor can it be resolved by an act of government that would violate basic standards of compassion: respect for families and the welfare of children, many of whom are actually US citizens, having been born here of undocumented parents. In the face of a global humanitarian crisis, we cannot treat people as pawns in the midst of international disputes. Every nation has a right to its domestic security and protection, but this right should be exercised within the standards of social justice, compassion, and respect for the human dignity of vulnerable individuals and families. Complex problems are not resolved with simplistic solutions, nor do they cancel the basic human duties that bind all nations, even in the midst of a threatening international climate. The more far-reaching challenge we face as a nation is the need for a comprehensive policy to address the long-term issues of refugees and immigrants, which will surely continue to arise. For decades, the US Catholic bishops have called for policies that provide a reasonable path to citizenship for immigrants and refugees. Simply closing the gates and heightening the walls at our borders leaves us failing to meet our basic duties as a country and our leadership role in the world. Defining a realistic, rational, compassionate, and just immigration policy has been the unmet need in our country for more than 30 years. Proposals to exclude or prioritize individuals purely by country of origin or religious affiliation will only exacerbate tensions and conflict in a world already too divided by race, religion, and ethnicity. Reasonable evaluation and qualification of those seeking entry to the United States is necessary and appropriate, but pushing the process to the extreme, in ways that can be perceived as intentionally exclusionary, will not help us and can send a message to the world that does not reflect our deepest values. Since the earliest days of my life as a Capuchin brother and priest, I have worked with and ministered to immigrants — individuals and families from around the world, including the undocumented. So many have entered American society through our legal system and flourished as proud citizens. Many are among my most deeply cherished friends. For me it has been a joy and a privilege to be their priest. To them I am always Padre Seán. Our country should take pride in our ability to integrate the diversity of those who seek to become members of our society and in what immigrants accomplish for our country, making significant contributions to the common good that benefit us all. As a Catholic bishop speaking to my own faith community, I pray for a generous spirit and a sense of mercy for those in need of protection and care. Through the work of Catholic Relief Services abroad and Catholic Charities at home, we are proudly on the front lines of service to refugees and immigrants. This work is inherent in the mission given us by Jesus Christ. We seek to do what is just and right for the fellow members of our human family, advocating for the support that will help us to improve our programs and services to those in need. As a citizen, my hope is that our country makes decisions concerning issues that affect refugees and immigrants by leading with a commitment to the principle of “welcoming the stranger”; our religious convictions and our constitutional history call us meet this standard. Together, honoring the proud tradition that allowed so many of our forebears to begin new lives in America, let us come together to fulfill the duties of this time. Cardinal Seán P. O’Malley, OFM Cap, is Archbishop of Boston.